First class print quality and first rate value deal package. 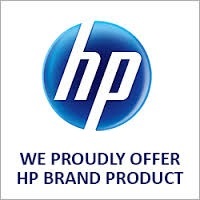 FIVE (5) Compatible HP ink cartridge rainbow bundle bonus value pack for Officejet Pro 6230 and 6830 printers. Receive outstanding value "2 x Black 934XL" and One (1) each 935XL Magenta, Yellow and Cyan Compatible ink cartridges. Smarter cheaper printing than buying five originals, and receive our guaranteed print quality assurance. Quick overnight shipping to all areas.